Join us for the May, 2019 campaign! So far in 2019 citizen scientists from around the world have contributed 4,138 data points! Help us achieve our goal of 15,000 data points this year! Check out the Campaign dates & Constellations for 2019! Practice finding all the Globe at Night Constellations or review the Magnitude Charts. 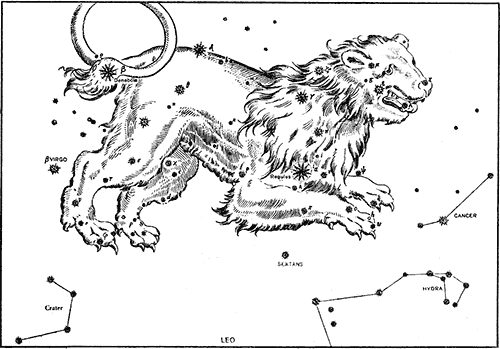 The May 2019 campaign is using the Constellation Leo. Check out the dates and constellations for our other campaigns during all 12 months of 2019. Whether you use a smartphone, tablet or computer, you can submit your data in real time with our webapp - now available in 28 languages! Help us make 2019 a record year! Sign up to be an Adopt-a-Street coordinator for your city! New! 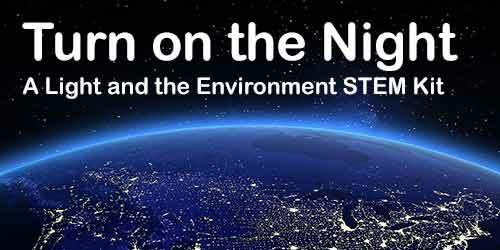 A light pollution education kit: Turn on the Night! Based on the Quality Lighting Teaching Kit developed by the National Optical Astronomy Observatory for the International Year of Light, 2015, Turn on the Night, a Light and the Environment STEM Kit is available now at Laser Classroom. Four hands-on activities invite students in grades 7-12 to plan, design and create strategies for city lighting that balance the competing concerns of humans and the environment. Using the problem solving process, students learn about issues raised by human created lighting: Glare, Sky Glow, Light Trespass and Excess Energy Consumption. Come find out more at: https://mailchi.mp/laserclassroom.com/turnonthenight. Globe at Night is proud to be one of SciStarter's Top Ten Projects of 2018! Register with SciStarter to take advantage of their tools to automatically track your contributions through a centralized SciStarter dashboard. Check out our project page to learn more. Globe at Night is pleased that two native smartphone apps have become available that integrate well with our campaigns. The Loss of the Night app is a free app. available for Android & iOS. And if you have an iPhone that can run iOS 10 or later, take a look at the Dark Sky Meter app, just $1.99 in the App Store. See how your region is doing this year below. If you don't see very many data points, consider going outside tonight and contributing your own! 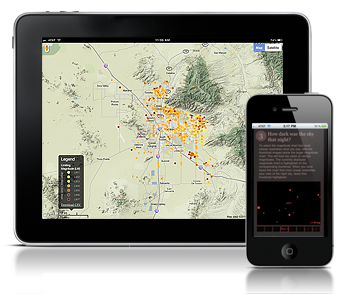 Compare to other regions or previous years with our regional map generator.